In a study conducted by Chong He and colleagues, multiple species, such as yeast, worms and flies, were treated with Ibuprofen, a common over-the-counter drug used for relieving pain, fever and reducing inflammation. Researchers from the study observed that the treated species lived longer and were healthier. The species were given doses equivalent to the recommended human doses and consequently, were found to live 15 percent longer than species who did not receive doses. For humans, this would be equivalent to about 12 additional years of healthy living. 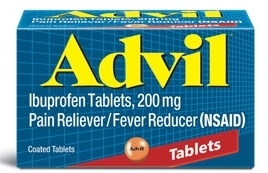 Ibuprofen was first created in the 1960’s in England and is considered a relatively safe drug. At that time, it was only available by prescription and after it became more commonly used, it was made available over-the-counter in many parts of the world in the 1980’s. According to the World Health Organization, Ibuprofen is an essential medication that should be available in a basic health system. Researchers found that Ibuprofen inhibits yeast cells from picking up tryptophan, an essential amino acid found in every cell of every organism and that is obtained from protein sources in organisms’ diets. However, the researchers are not sure why this improves an organisms’ longevity and health. Thus, through this study and the results obtained from it, scientists have demonstrated that common and relatively safe drugs amongst humans, like Ibuprofen, can extend the life of various types of organisms. Additionally, there may be other drugs that can extend the lifespan and improve the health of people, which scientists have yet to find out. Considering the discovered benefits that intake of Ibuprofen has on organisms and people, it is definitely worth it for researchers to further explore about Ibuprofen’s and other drugs’ effects on lifespan, health and aging of people.